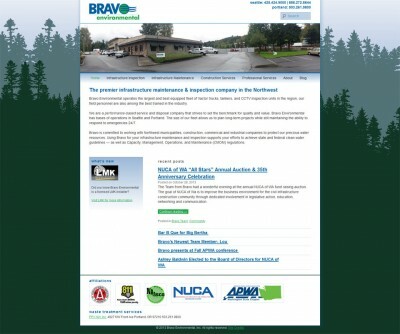 This new Bravo Environmental WordPress website is not just mobile responsive. It’s performance-based. The total page file size is only 407 kb; and with fewer than 20 web server requests – the site loads fast. Faster than 85% of tested sites on Pingdom. Yahoo YSlow also gives the site high marks: 92/100. Google recommends a maximum file page size of 300 kb for optimum search indexing performance. Unfortunately, the average web page file size in 2013 is closer to 2 Mb. Sites that don’t adhere to best practices perform sluggish, particularly on mobile devices – and site conversions suffer as a result.